Obviously this was a perfect opportunity for me to explore the country. But where should I go? 3 years ago, while ‘escaping’ from China, I had a 13 hours layover in Kunming and apart from the emotional state I was in that time, I had really liked the atmosphere of this place. I have also heard good things about the weather, the food and the people down there. 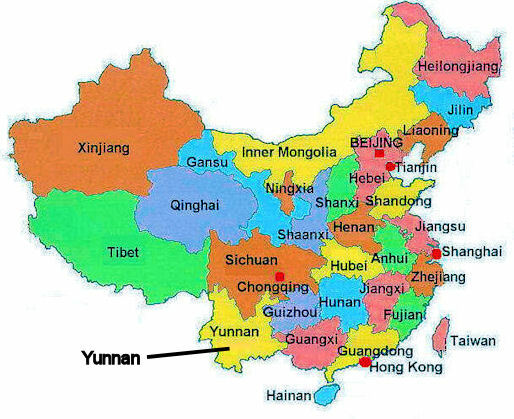 So yes, I decided to go to Yunnan for my Labour Day Holiday. I first considered taking the train from Beijing to Kunming, however, as I only had one week time to travel the distance seemed just too large (Kunming is over 2000 km away from Beijing). I was quite lucky and was able to find a rather affordable flight, which can be difficult during holiday season when prices usually skyrocket. Sunday morning at 6am I was ready to go. I took the airport express to the airport – probably one of the most convenient ways of getting to the airport in Beijing and in spite of my friends’ predictions that in Beijing all flights are delayed (the airspace above Beijing is usually congested) the plane took off on time. 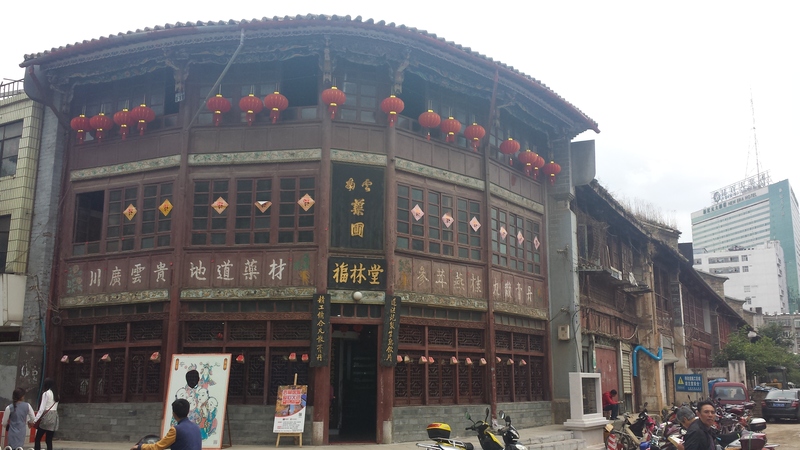 After around 2 hours we reached Dazhou where we had a brief layover – a small provincial town (350.000 inhabitants – a village for Chinese standards) in the countryside. The airport was tiny and farmers working in the fields close-by stopped what they were doing to watch the plane arriving. What a very different world here in the countryside. After another 1,5 hours we reached Kunming, the provincial capital of Yunnan. Kunming is known as the Spring City for its spring like climate all year round. 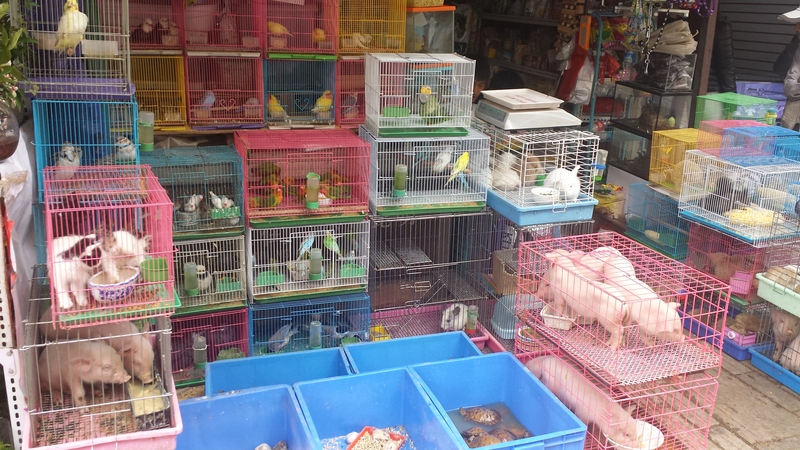 So, what else to say about Kunming? First of all, from my impression it is just another big Chinese city with a population of over 3 million people. 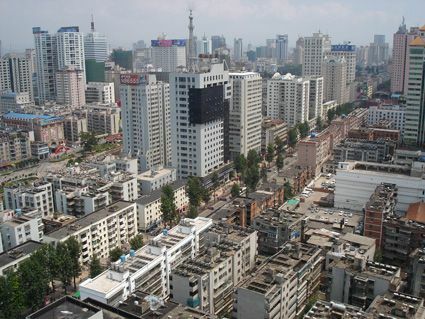 To give you an idea what a Chinese city usually looks like I found this picture of Kunming online and yes, from my own experience that shows quite well what a normal Chinese city looks like these days. 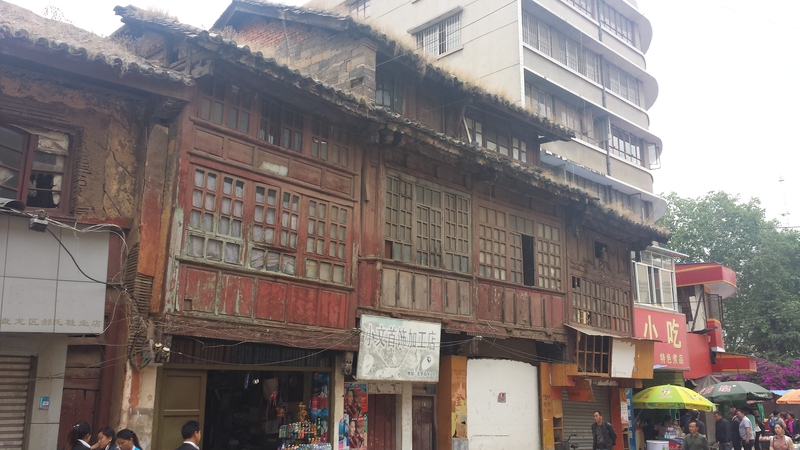 Now, to be honest I could not be bothered to walk a lot around Kunming – I have already seen a few Chinese cities and most of them are not overly exciting. But Kunming has some nice spots. 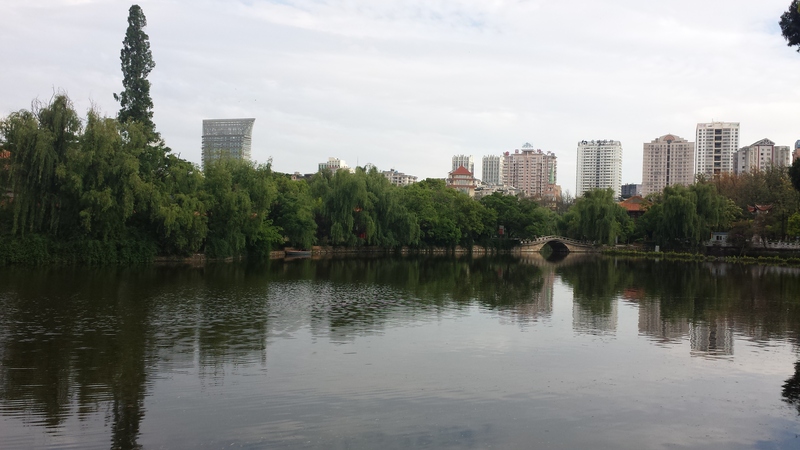 My favourite spot was a place called Green Lake Park, which was also very close to my hostel. What I liked most about Green Lake Park was the atmosphere – which was just very relaxing. And there was always something going on – people were dancing, singing, doing Tai-chi, playing games and well, everyone just seemed to have a great time. Just after my arrival I saw this group who, it seemed, were celebrating a special holiday. Unfortunately, I did not manage to find out who they were but according to their outfits they were one of the 25 ethnic groups who live in Yunnan. Just around the corner I found these ladies practising their dance. So, as you can see there was a lot going on in the park and I spent a lot of time sitting on benches listening to people singing and dancing. 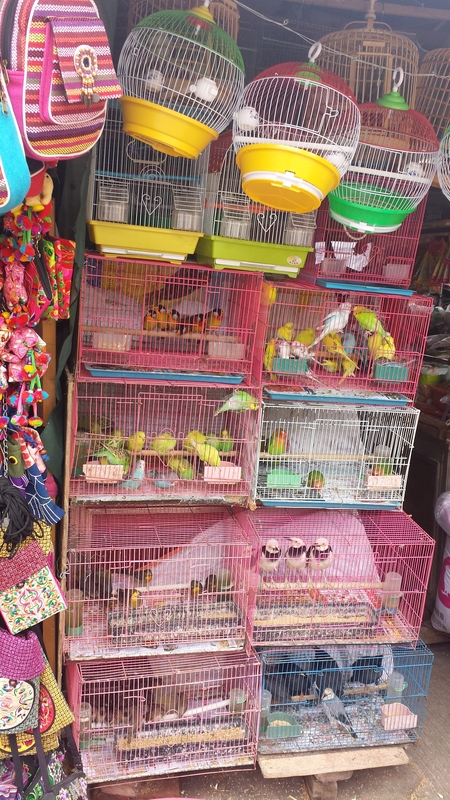 Another interesting thing about Yunnan was the Flower and Bird Market. To get there I had to walk through an older part of town, where there were still some old houses, a sight hardly seen in Chinese cities these days. Now – this will be quite difficult to watch for all the animal lovers out there (this is including me). 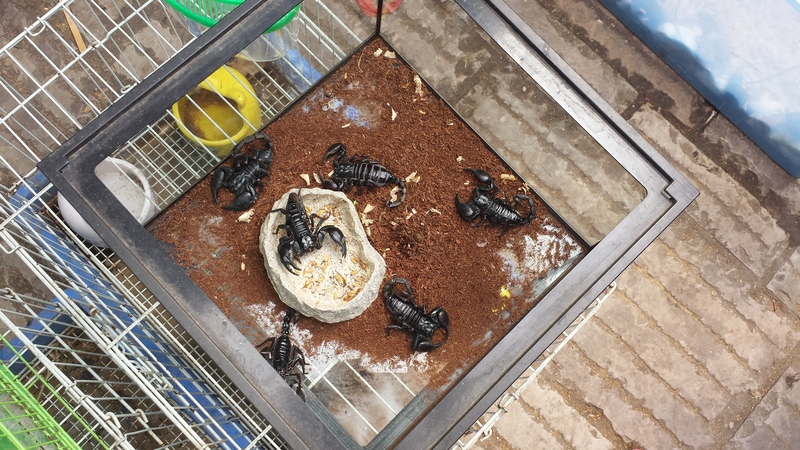 Actually, a man approached me asking me whether I wanted to buy a pet, telling me that apparently they taste good. Uhmmmm… no, thank you! 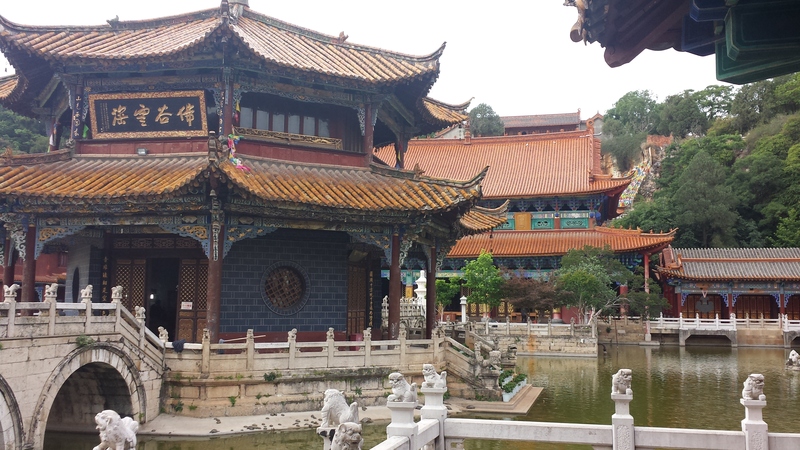 One other interesting place I visited in Kunming was Yuantong Temple, one of the largest Buddhist complexes in Kunming which is over 1000 years old. 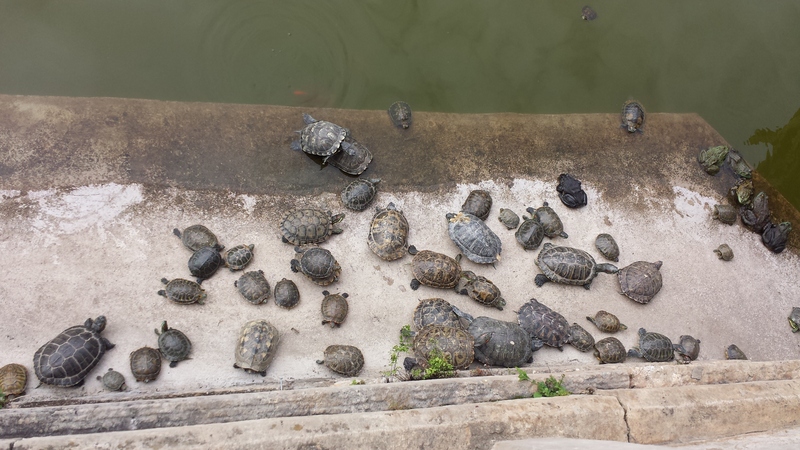 The thing which I found most fascinating was the lake which was FULL of turtles – I guess the monks had rescued them from the Bird and Flower Market. very interesting. colourful. 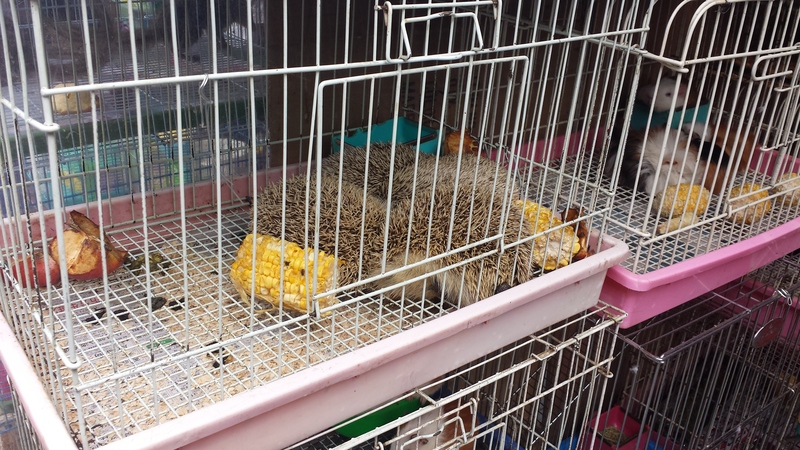 those poor creatures in these cages …. I have heard that the chinese eat cats and dogs. true or false? I wonder if those people dancing, in your third video are members of the infamous falun gong? no? the old market looks attractive, but as you say: getting crowded out by the faceless modern buildings. the video with you in it is very large, more than one can get onto the page. is there something you can do about that? I noticed the same thing in your Beijing 2 entry. otherwise, very good, verena. one gets the feel of the place, the culture, the people. love it. also ich finde es auch ganz toll, wäre gern dabei gewesen, aber du beschreibst alles so gut und die bilder dazu , somit habe ich das gefühl ..ich war dabei … 🙂 , freu mich schon auf die beiden nächsten. leider kann ich alle videos nicht hören, nur ab und zu so ein paar fetzen und auch die bewegung bleibt ständig hängen, aber man bekommt doch eine vorstellung, leid tat es mir besonders bei deinem video!!! weiter so mein mädchen.